Before our friend, Issa, relocate to Dubai, he used to be the authority on middle eastern cuisine to my family and he would make us the best Baklava. Now that Issa is not here to supply us with Baklava, i have to make it myself. There are so many versions and recipes and i decided to try this recipe from Athensfoods.com - Courtesy of Chef Dino Lubbat, Dinotto Ristorante, Chicago. This recipe produced a very good baklava and definitely a keeper. In a medium bowl, combine walnuts, sugar, cinnamon, cloves and lemon zest. Lightly spray a 9" x 13" baking pan with cooking spray. Place 20 sheets of fillo on the bottom of the pan, lightly spraying each sheet with cooking spray as you place in the pan. Cover with 1/2 of the walnut(nuts) mixture. Layer 5 more fillo sheets on top, lightly spraying each sheet. Spread the remaining half of the walnut(nuts) mixture over the fillo and cover with another 15 lightly sprayed fillo sheets. Bake in preheated 350°F oven for 45 minutes to 1 hour or until golden brown. Cool completely, cut and serve. •Use butter flavored cooking spray, if desired. •Instead of cooking spray, brush fillo with 1 cup melted butter, if desired. •Serve à la mode with a scoop of ice cream, or drizzle with chocolate sauce. Bring all ingredients to a boil. Making this dish is not a problem, the biggest problem is getting the leaves - duan kaduk. 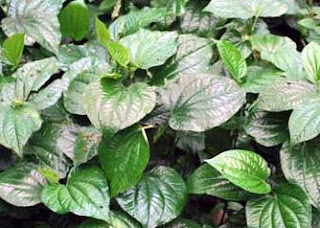 Daun kaduk, or wild pepper (Piper sarmentosum), is the glossy heart-shaped leaf of a creeper that is often featured in Nyonya cooking. In Hokkien, the name is pronounced as lun kaduk, these leaves provide the texture and aroma that is so essential to this dish, without it the taste will be vastly different. I have wanted to make otak otak but if daun kaduk is not available, i will not waste my time to adulterate. My chance at last arrived when my dear friend, Peng, who is in Colorado Springs, found the leaves in her asian store. With all the ingredients complete, graciously contributed by Catherine, another dear friend who also share the same passion in cooking as Peng does.. we made some in Peng's house. Thank you Catherine and Peng. I can't remember when was the last time i had otak otak and when i opened up a freshly steamed parcel, the aroma jolted my "otak"(in Malay is brain) into rememberance of a good thing. There are different forms of otak-otak originating from different regions. Nyonya otak-otak is of Peranakan origins from Penang, it is wrapped in banana leaves in a parcel and steamed. However, otak-otak from the south of Malaysia and from Singapore is wrapped up as a thin slice using banana or coconut leaf and grilled over a charcoal fire. Banana leaves - cleaned, cut into 8" x 8" squares and boiled, wipe dry. Grate galangal and lemon grass with a microplane zester. Pour blended ingredients into a microwable bowl and microwave on high for 5 minutes, stir and continue to cook on high 2 minutes at a time, until oil surfaces and paste is fragrant and almost dry. Pat the fish dry and cut it into 2-inch slices. Beat slightly eggs and egg yolk with fish sauce, salt, sugar, white pepper. Mix cornflour and rice with the coconut milk. In a large bowl, put in the sliced fish, eggs, coconut mixture.and cooled rempah. Mix well to combine. Lastly add in the shredded kaffir lime and tumeric leaves. For each parcel, , use a square of banana leaf and lay 3 - 4 leaves daun kaduk in the center. Spread 2 to 3 tablespoons of the fish mixture on top of daun kaduk. Fold the banana leaf into half and hold on to the center. Fold up the right side to the center and open up the leaf to form the parcel edge. Repeat with the left side and using a staple or toothpick, secure the parcel. Repeat making the parcels until all the fish mousse is done. Put the parcel to steam for about 10 minutes. Making good wonton was a long process as i was not able to buy good thin wonton wrappers and had to Homemake from scratch but i have found it - the brand is Double Happiness and they are thinner than the ones i homemake. I am glad that it is available cos my grand daughter, the picky eater, has come to like wonton and even eat the wonton noodles. We were on vacation in Vancouver and she ate 5 meals of wonton noodles. Talking about vacation and wonton wrappers/skin, there is something that has to be told. It is the opposite to what the ad. say - What happened in Vegas, remain in Vegas? What happened to me and my friends in Vegas had to be told. I was at the checkout in Ranch 99 Supermarket and heard someone ordered 2 boxes of wonton skin. 2 boxes, this lady must have found the wonton skin that i am looking for, so i turned around and asked this pretty lady what the brand was. We started talking and from my accent she had to ask where i was from and when i told her that i came from Malaysia, she was grinning with joy and told me that she was malaysian too. She asked if i would like to go to her place and she will make me 'Ice Kacang', Ice Kacang in the desert, it was 104f that day, I accepted right away and had to gather my friends to meet her. She made the best Ice Kacang and insisted that we come back again to meet her other malaysian friends and she will be cooking 'Chilli Crabs'. We went back to have chilli crab the next day and met up with WPY, who was just as sweet and hospitable - she treated us to Harvey Mandel and drove us Las Vegas and brought us to the biggest outlet. The night before we left Las Vegas, KD, the wonton skin lady, brought us to the best buffet in town - Rio , the food stretched as long as the Grand Canyon. These two wonderful ladies, KD and WPY have renewed my faith in the human kind. Thank you KD and WPY, i, nancy and siew chin will never forget your kindness and generosity and i hope you will remember these 3 ladies you picked up off the strip. Place pork bones and enough water in a big pot and bring to the boil. Continue to boil until all the scum floats to the top. Drain pork bones and discard the water. Wash the pork bones thoroughly with cold water. In the pressure cooker, place cleaned cooked pork bones, ikan bilis and ginger and 6 cups of water. Close the lid and let it pressurised for 30 minutes with 15 lb pressure. Release the pressure before opening lid. Remove the pork bones and ikan bilis and pass soup through a sieve. Adjust the taste with msg, salt and pepper. Bring back to the boil before serving. Bring a large stock pot of water to the boil. Loosen the wonton noodles before putting into the boiling water. Swirl noodle with a pair of long chopsticks to prevent noodles from sticking together. The thin noodles cook fast to al dente. Remove with spider strainer and dung into a large container of cold water. Return noodles to the boiling water just to warm it up. Remove from water and put into serving large bowl and add in sesame oil and lard. Bring the water back to the boil and add in the choy sum or shanghai bok choy - green vegetables will remain green when cooked because this water has alkali after cooking all the wonton noodles. Remove and distribute among the bowls of noodles. Bring a saucepan of water to the boil and drop in the wontons.and simmer uncovered, stirring gently, when wontons float to the top, that usually means they're done. Unless there is too much air inside the wontons due to bad folding. Cut one open to check for doneness. Remove wontons and distribute among the bowls of noodles. Pour a cup of hot soup into the bowls of noodles which are topped with vegetables and wonton. Garnish with chopped spring onions. My preference to a good wonton for soup would be the fill and squeeze method for wrapping the wonton as the skin is not doubled and will remain soft and silky when consumed, like swallowing the cloud, befitting its name WONTON. In cantonese - won is the cloud and ton is to swallow. The beautifully wrapped ones are better for deep frying. Alexander's Pre School teacher wanted to have the recipe of his favorite dish as she is making a recipe book of all the favorite food of her class. When i asked him which is his favorite, i was glad that it was something that i cook for him and not something out of the box. He loves noodles in any form and he could use his chopstick and pick up the most slippery kind. This pair of child chopstick is worth every cent spend and every asian mom should get a pair for their child as eating noodles using chopsticks is so much fun. Beat all the ingredients until blended. Heat a small frying pan preferably a non-stick one with as little oil as possible. Pour in enough of egg mixture to make a thin omelette. When omelette sets, flip over and cook the other side. Remove onto a chopping board. Continue to make omelette with the rest of the egg mixture . Pile the omelette and roll it up like a swiss roll, then cut into tiny strips, loosen the strips and ta-ta noodles are ready. Enjoy them as much as Alexander does. Heat up ½ cup water in a pot and dissolve the sugar in it. In a bowl, mix the tapioca and the rice flours. Add the coconut milk mixture, little by little, and mix so the mixture is well blended. Add the syrup to the batter and sieve batter. Measure 1 cup of the cooked mung beans and put into a food processor/blender and add in half of the above batter and process/blend until liquidfied. Strain batter through a fine sieve. Batter should be 3 cups - to make 4 layers of 3/4 cups for each layer. Drain the pandan leaves through a sieve and discard the pandan remains. Add to the remaining half of the coconut batter and add in 1 tsp pandan paste. If not using pandan leaves juice just add water to the remaining half of the coconut batter and add in pandan paste. Batter should be 2 1/2 cups - to make 5 layers of 1/2 cup for each layer. Set up a steamer and bring water to a boil. Grease an 8” pan with a little oil. Place the pan into the steamer. Pour about 1/2 cup of the pandan mixture into pan which should be enough to make a full layer. Steam for about 4 minutes until the layer is no longer liquid so it can support the next layer. Add about 3/4 cup of the mung bean mixture and cook for 4 minutes. Repeat until you have a total of 9 layers (optional) or until you run out of the mixtures. Continue to steam another 10 - 15 minutes to fully cook all the layers. Remove the pan from the steamer. Let cool and cut into pieces. I really learned well about baking from Shirley O. Corriher's book - Bakewise. This pound cake was baked with all her tips in mind - like replacing some of the flour with potato starch which will add moisture as the large granules present in potato starch produce excellent texture - still tight like a pound cake but not super tight. Egg yolks are emulsifiers, so by adding two will increased moisture and an excellent texture to the pound cake..
Another great secret to cake moisture is to substitute oil for part of the butter. Oil greases flour proteins better than either butter or shortening to prevent gluten from forming and tying up water. A startling new ingredient - whipped cream. By adding whipped cream, more air will be introduced for a slightly lighter cake and the texture will be velvety, soft and wonderfully tasty. There will be holes in the cake if the leavening is not evenly distributed, so it is so important to beat the flour, leavening, and other dry ingredients together will with a fork or hand beater. As i was preparing the ingredients for the cake, Belinda came by with some beautifully riped figs so i just sliced them and arranged them on top of the cake batter which brought this cake to another level. Arrange a shelf in the lower third of the oven, place a baking stone on it, and preheat the oven to 350f/177 c.
Spray or grease a bundt pan generously and dust with flour. Beat butter and shortening on medium speed until the mixture is light and pale in color. Add sugar and continue to cream until verylight, scraping down the sides and across the bottom of the bowl at least once. 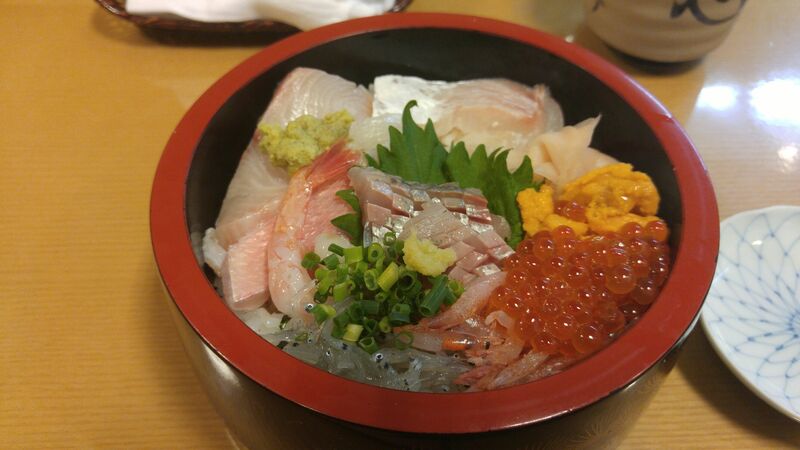 While creaming, feel the bowl, if it does not feel cool, plce in the freezer for 5 minutes and then continue creaming. Add in vanilla extract and then the oil, a little at a time until incorporated. Turn to the lowest speed and add in the egg yolks, then the whole eggs, one at a time. Beat together the flour, potato starch, baking powder and salt with a fork or hand beater for 30 seconds until well blended. On the lowest speed, blend 1/3 of the flour miture into the butter mixture. Alternate adding buttermilk, then the flour mixture, until all of both ar incorporated, scraping down the sides across the bottom at least once. Place a bowl, beaters, and the heavy cream in the freezer to chill for 5 minutes. Whip the cream until soft peaks form when the beater is lifted. Whiped just a little beyond the soft peak stage. Stir about 1/4 of the whipped cream into the batter to lighten. Then gently fold the rest of the whipped cream into the batter. Pour the batter into the prepared bundt pan. From a height of about 4 inches , drop the pan onto the counter to knock out bubbles. Smooth the batter and arrange the sliced figs on top. Place the cake in the bundt pan on a rack to cool for 10 minutes before removing cake from pan. Snow fungus, also known as white tree ear fungus, silver fungus and silver ear is quite similar to wood ear but it is white in color and almost transparent. Good-quality snow fungus has a pale and yellowish-white color. It is often used in soups and desserts. White fungus contains much iron, vitamin C, calcium and phosphorus. The fat and gum-like protein in it is especially nourishing to the body. It is considered a good supplement to the body. Stew white fungus with rock sugar lubricates the colon and stimulates peristalsis. Thus, it is a mild laxative for constipation patients. White fungus is also said to be effective in nourishing the lungs, healing dry cough and clearing heat in the lungs. Those who have weak lungs catch cold easily. Eating stewed white fungus with rock sugar and red dates helps strengthen the respiratory system and thus, helps prevent cold. Put soaked snow fungus, rock sugar and enough water to cover the snow fungus in a slow cooker and cook until snow fungus has turned soft and jelly-like. I love these make ahead sauces and black bean is one of my most favorite. It is build with a few fresh ingredients for preparing impressively quick and bright tasting meals. Try this sauce out in Steamed Pork Ribs and the traditional chinese Clams dishes. Rince black beans and drain well. Put into bowl, using a wooden spoon or fork, gently mash the black beans a few times slightly to release its flavor and pour shaoxing wine over. Allow to soak. Using the chopper or food processor, mince the garlic, shallots and ginger until fine. Heat oil and saute the minced garlic, shallots,ginger and chopped jalapeno peppers(if using) until fragrant, then add in the soaked black beans together with the wine. Allow it to come to the boil and adjust the taste with sugar and pepper. Allow to cool, then put sauce into sterilized jar and top with sesame oil. Keep in the fridge.